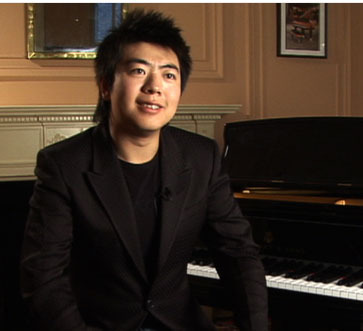 This past Monday, TIME interviewed Chinese piano virtuoso Lang Lang for its 10 Questions strand. We met up with the 26 year-old phenom at the headquarters of Steinway pianos on W. 57th Street in New York, and videotaped the interview for TIME.com. The interview can be seen here and heard here and read here. Absolutely amazing music and all memorized with such emotion evident. I wonder how many pieces he can play without stopping to read the music? Thanks Craig – absolutely sublime! I love how relaxed his fingers are when he lifts them off the keys! !